I have finally done a hair transplant. After thinking 5 years about it, I now have done it with 25 years old. Dr. Mwamba placed about 50 grafts in the middle (50 together with my remaining hair) and 40 at the sides. I dont have all the data, yet and dont have all the photos, yet. But I will post everything when I get it from Dr. Mwamba. » now have done it with 25 years old. » remaining hair) and 40 at the sides. » You got 90 grafts? LOL , I am sure he is talking about the density, 50 grafts per sq cm and 40 grafts per sq cm. » » You got 90 grafts? » 40 grafts per sq cm. ya, right. im talking about the density. i got about 3200 grafts at all per FIT (FUE). Long time no see. While I can’t be happy that you did HT at 25, I will say that I’m relieved you chose Dr. Mwamba. A great doctor and a superb person. Next to Dr. Cole, Dr. Mwamba had more to do with my scalp than anyone else. And he is a master, a very meticulous surgeon. Many people criticize Dr. Cole, but perhaps they don’t realize that both Drs. Mwamba and Bisanga learned their trade, and mastered their trade, down at Cole’s office in Atlanta. It doesn’t surprise me that both Drs. Mwamba and Bisanga have gone on to success. Dr. Mwamba in particular deserves to be better known. A few technical tips. Allow this HT to grow in and settle for at least 2 years, preferably 3, before you go back for more. And make sure you are using a 2% ketoconazole shampoo every few days, leaving it on the scalp for at least 5 minutes before washing it off. Use Dr. Lee’s keto shampoo b/c it’s the best formulation out there. If you want to avoid the possible feminization that comes from use of finasteride or dutasteride, use Dr. Lee’s 5% spiro cream along with the keto shampoo. Apply the spiro cream once daily, at night. I’m convinced that using these two agents together is roughly as useful as finasteride for maintaining hair counts. Good luck, and please convey my warmest regards to Dr. Patrick. » anyone else. And he is a master, a very meticulous surgeon. » and Bisanga have gone on to success. » Dr. Mwamba in particular deserves to be better known. » it’s the best formulation out there. » for maintaining hair counts. » Good luck, and please convey my warmest regards to Dr. Patrick. long time no see. i know you dont like it that i did a ht. you know, you were maybe the guy, who most told me not to do it and i think this much affected that i waited so long. in the meantime, i started minoxidil 5% foam. it improved my hair a bit and i think now was the right time to do a ht. I, too, think that dr. cole, dr. mwamba and dr. bisanga are the best there are. I did FIT, too. i think i forgot to say. I already used nizoral/ket shampoo before and i will go on after 2 weeks after my transplant. i dont have side effects from finasterid, so i go on taking it. same with minoxidil. I think, too, that dr. mwamba deserves to be better known. thats why i made this post and will keep on making updates in the next months. dr. mwamba is a really nice person and as early as i can say, a great surgeon. thx for your reply, fittest. nice to see you here again. » I think that 25 is as good an age as any although I take your sentiment. Thx marco, that you throw that in. i think the same way. it should be taken into consideration that i may bald further in future. but its not a reason to wait any longer for this. i dont live forever, so now was the right time to do it. Hey, I remember you tried some topical treatments and had some success, what happened? 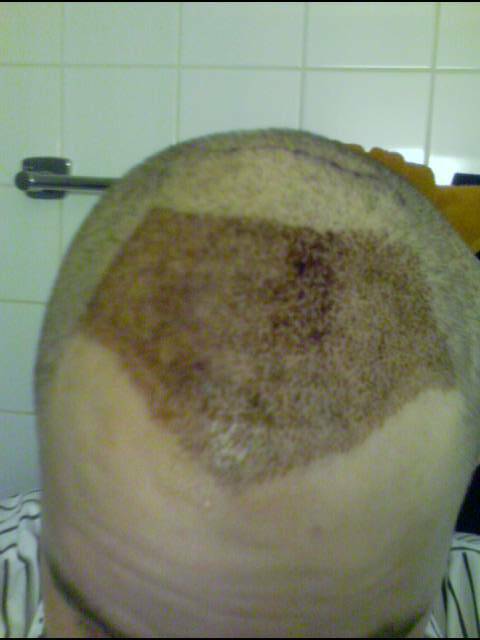 Why decided to get a hair transplant all of a sudden? » what happened? Why decided to get a hair transplant all of a sudden? yes, i had some success, but not enough to get a decent result, so i decided to get a ht.